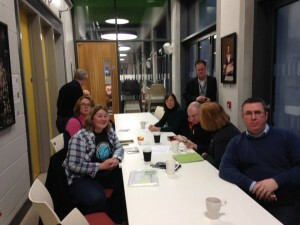 We’ve had many discussions with fellow professionals before organising a meetup in the “corridor” meeting room at Refresh Cafe, Skainos on the Newtownards Road in Belfast. This was mainly to gauge initial interest in the idea of a new coworking community and space in Belfast. Allen was down with flu, Dawn was heading that direction, but regardless, we had a nice, solid group of ten people and a great discussion as we introduced our idea. Chat on the day was full of anticipation, ideas, discussion, debate and shared dreams for our community. 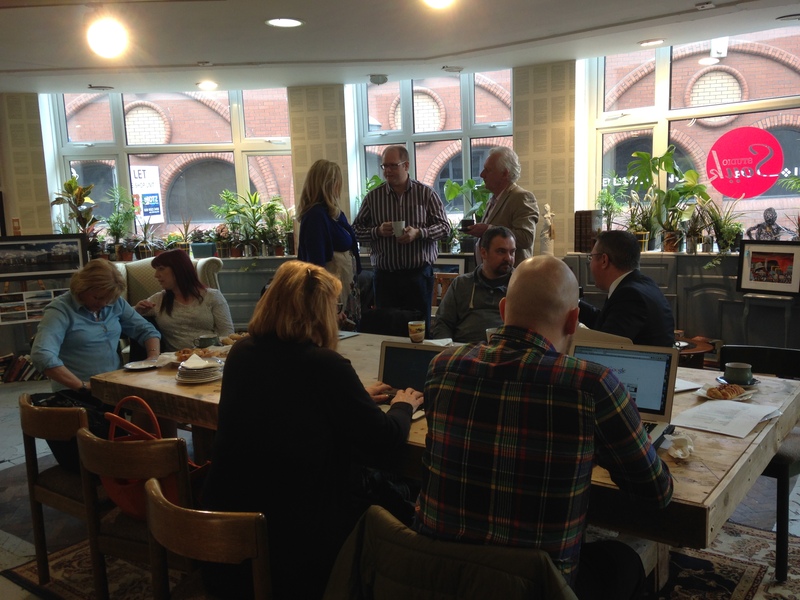 We held our first Coworking Day in The MAC, Belfast (sponsored by Santander), where we officially introduced our fledgling community to the idea and then got on with our first experience of actually coworking together. We remember that the first few hours of the day were taken up with great excitement expressed by the community at the coworking concept, despite Belfast already being fairly well catered for by way of coworking options. We had several other coworking space owners and managers in attendance, who were really enthusiastic, positive and encouraging. It got us thinking: maybe there is space for an opportunity to curate a community that would eventually move into a permanent space. 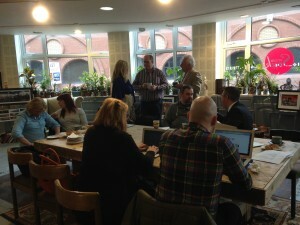 Farset Labs in Weaver’s Court, Belfast, hosted our second Coworking Day. 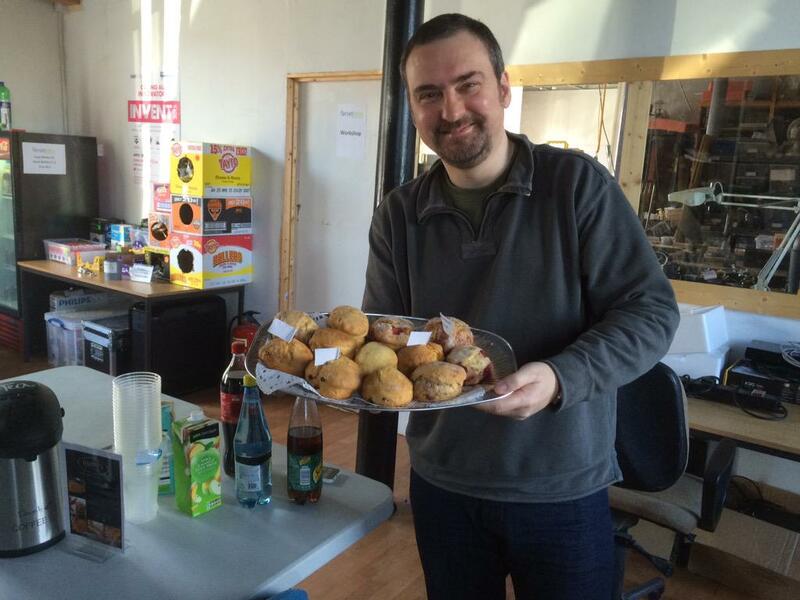 It’s a maker space situated in central Belfast. We were sponsored on the day by Four Star Pizza. 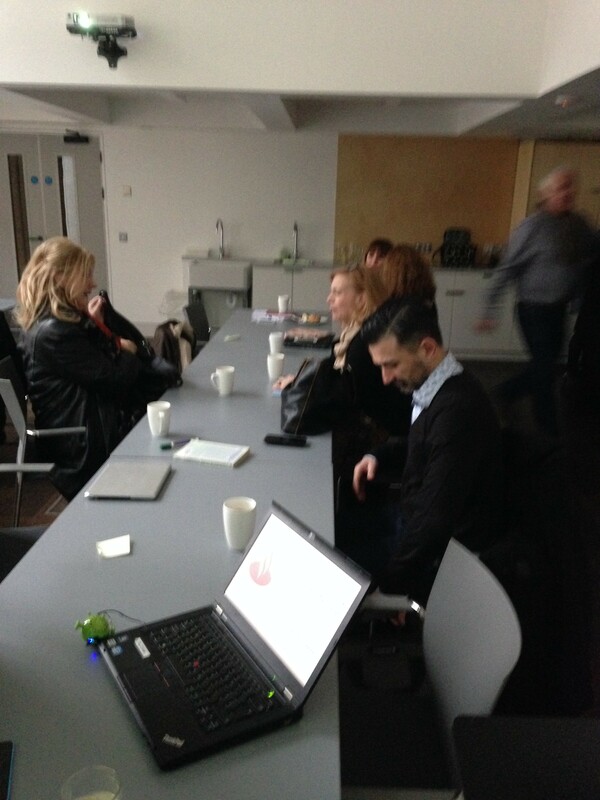 The lovely, creative Studio Souk, on the bustling Castle Lane in central Belfast, was the venue for our second Coworking Day. We were treated to gorgeous food and were able to do a little shopping at the souk inbetween blasts of work. 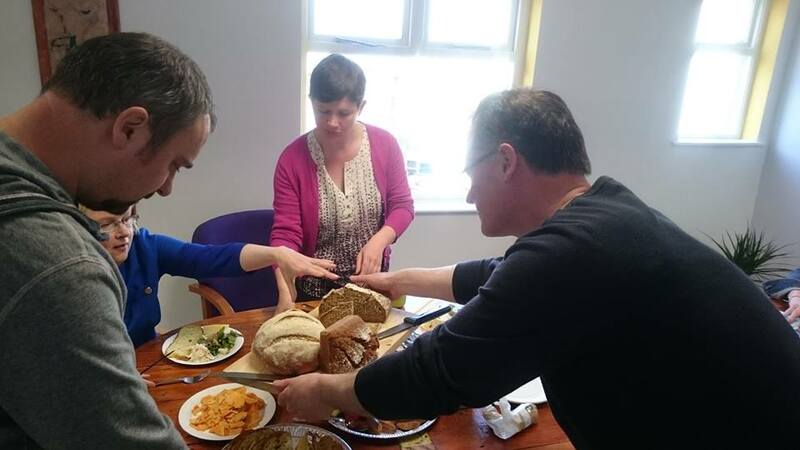 In May, we joined up with Bayview Synergy Space and took a seaside trip to Newcastle, to meet the community there and have a Coworking Day by the Sea. 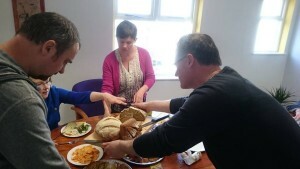 We had an awesome day, with great chats over a delicious, healthy lunch rustled up by Nick Mack, treatments by Mary-Jane. It was truly amazing to be able to have a wee walk on the beach five minutes after stopping work. This month (August), we meet at The Dock Market in the Titanic Quarter in Belfast. We look forward to another day of meeting familiar and new faces, and having a chat about what it is that will make the WabiSabi community one that will attract others. We will also update the gang about our latest property viewing adventures. And, we might just take a walk up the Dock to take in newly designed open spaces and sights along the Lagan. All entrepreneurial types are welcome to our WabiSabi Coworking Days. We don’t care whether you sell paintings, shoes, consultancy or stocks. We don’t care whether you’ve been in business for 25 years or 2 months. Or, whether you’re just starting out with your business idea and don’t even have a business yet! Our community is welcoming, positive and is brimming with helpers keen to assist anyone at any stage of their entrepreneurial journey.